All treadmills require lubrication of the running deck surface at regular intervals throughout their lifespan. Cleaning and re-applying the correct silicone oil to the running deck, prolongs the life of the running deck & belt system, motors, control boards and reduces power consumption due to lower levels of current draw. 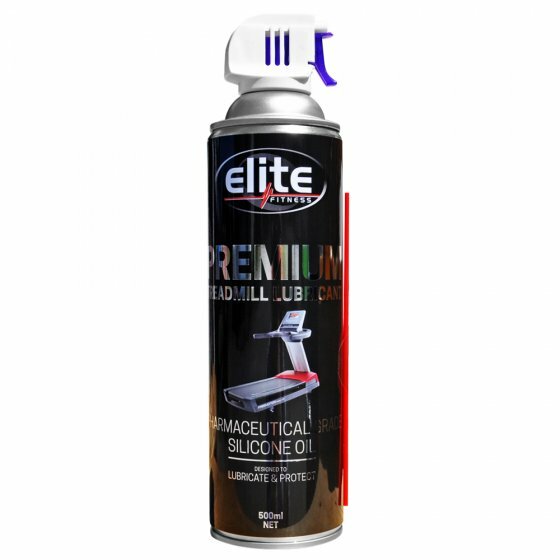 This can of Premium Treadmill Lubricant is suitable for up to 15 applications for all machines manufactured by Icon Health and Fitness & Elite Fitness Branded Equipment, ICON brands include the following: NordicTrack, ProForm, Healthrider and Golds Gym. To find out more information on treadmill maintenance and how to lubricate your treadmill, check out our treadmill maintenance page under our service and support pages of our website. Please note: Use of other non-approved silicone oil products for these brands of treadmills may cause damage to the running belt system and void the manufacturing warranty.